The Court was hearing six separate pleas filed by 19 women officers in the education, logistics and ATC branches of the Navy, who had completed the 14 years of their Short Service Commission. While granting their plea, filed through Senior Advocate Rekha Palli, the Court said the “women are here to stay” and since they “work shoulder to shoulder” with their male counterparts, it would “frown upon any endeavor to restrain the progress of women”. The Petitioners had approached the Court after their counterparts in the Army and Air force were granted relief on the same issue in 2010 by another bench. 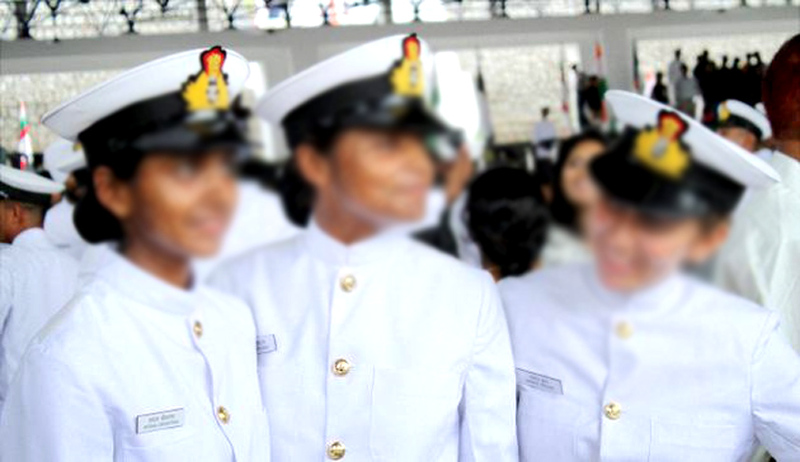 While Army and Air Force allow permanent commission for women, the Navy has limited women officers only to short service commission of 14 years. Consecutively, they were not eligible for pension as it required 20 years of service. The Court quoted a couplet written by well-known 20th century poet Majaz Lakhnawi, which says, “Tere maathe pe ye anchal bahut khoob hai, lekin tu is anchal se ek parcham bana leti to achcha tha (The veil on your head is beautiful, but it would be better if you made a flag from it)”. The Petitioners had also challenged a 2008 decision of the Navi to grant Permanent Commission only to women who joined after that year and that too only in the Education, Law and Naval Architecture branches. They submitted that they were entitled to permanent commission as they had also received appropriate training and had been working as SSC officers in other departments for several years. Pursuant to this order, the Navy may have to review its rules banning women on ships, as this would make it difficult to promote them to the rank of Captain. As of now, women officers serve in the administrative, medical and education branches. They are also taken on aircraft as “observers”, to monitor censors.